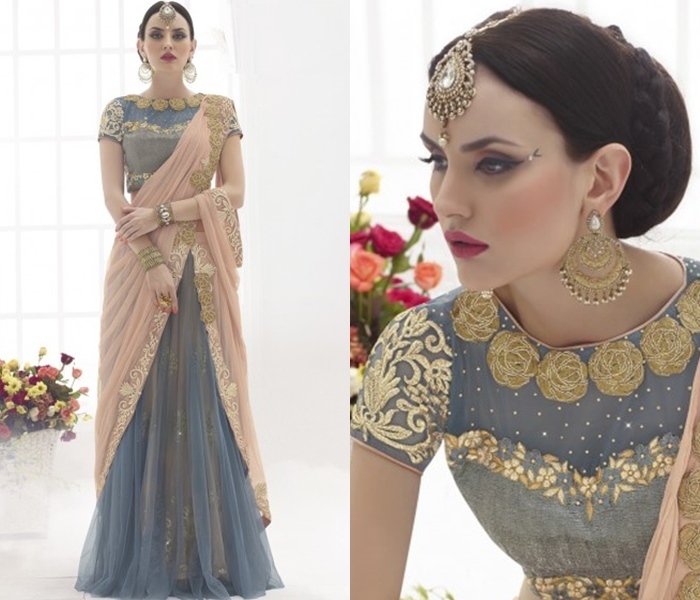 Home Fashion The Ultimate Latest Blouse Designs To Try With Net Sarees! 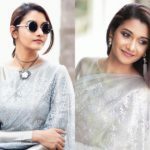 The Ultimate Latest Blouse Designs To Try With Net Sarees! If there is one saree fabric which every fashion girl is going crazy over this season, then it is the sleek net sarees. It has been going rounds and rounds on the Indian fashion stage without anyone ever feeling tired of it. We keep spotting celebs and models never missing a chance to flaunt it. 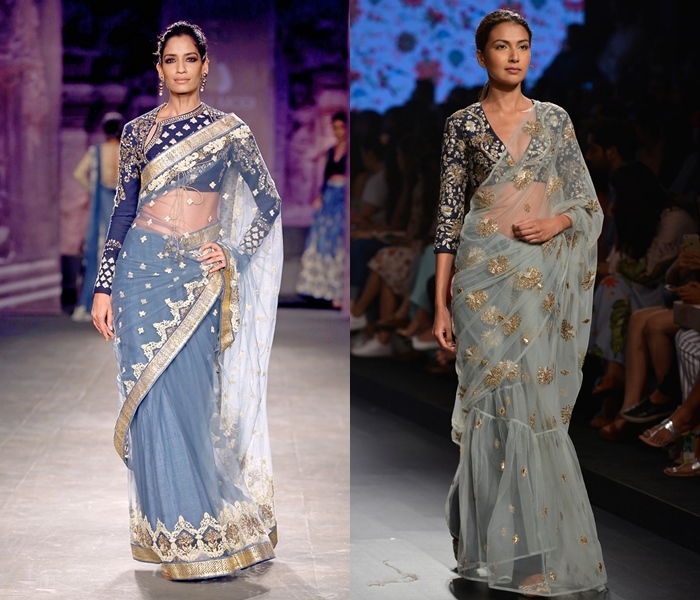 It’s safe to assume that these trendy sarees are going to have a strong hold on all saree-lovers. Obviously, next follows the question, what latest blouse designs to pair with net sarees? Leave this question to us and save your blouse searching time. We have combed through the entire e-world to find out some gorgeous looking blouses models which can boost your net saree look ‘n’ fold. To make sure your net sarees look more stylish, all you have to do now is to gather ideas from these blouses and rush to your boutique soon. Once you know what blouse will suit you, the rest is easy. We mean, you are bound to look beautiful with our blouse ideas. 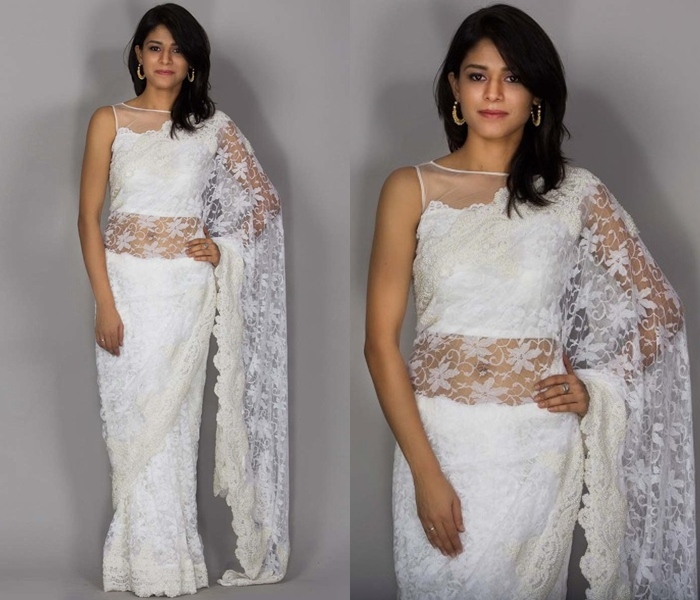 Now scroll down to see our 10 must-have latest designer blouses for your sheer net sarees. Ready? Select your blouse in the shade 2 or 3 times darker than your saree hue and get it stitched with heavy work. 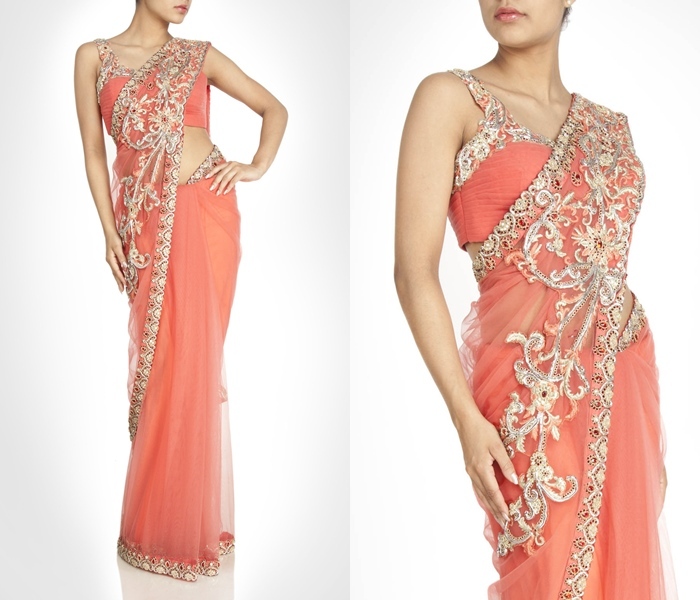 The sheerness in your saree will elevate the work you have on the blouse! 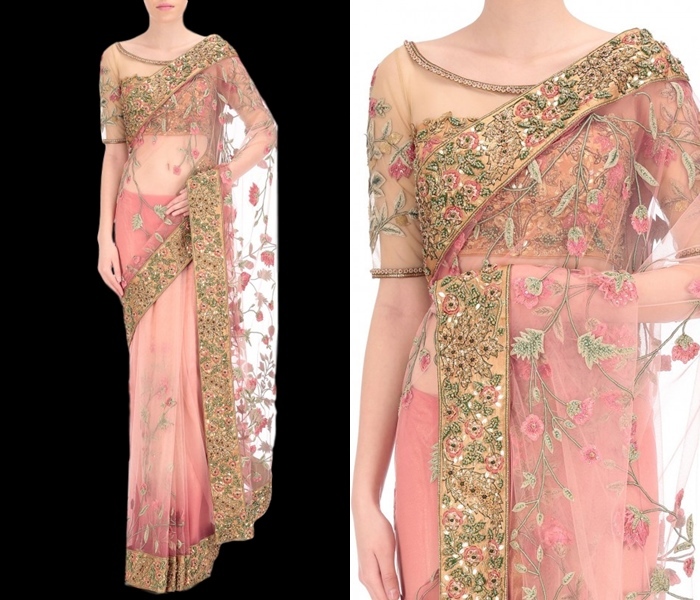 With just a right amount of see-through fabric on the neck, you can sure make a statement with your net sarees. An apt choice would be to experiment this style with boat neck blouse. Nothing can make your net saree look fancier than this ever-green sleeveless blouse style. When it is added with a highlighting thread work on the blouse straps, it is just going to make your saree style scintillating. We all know how hot jacket blouses are on the fashion radar now! Why leave it out for net sarees? These stylish blouses add more dimension if you care to give it a chance. The fine work on the jackets need not have to be hidden behind the front pleats of saree any more. 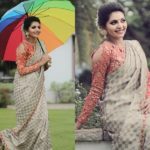 If you have a net saree that has interesting work (floral, thread, stone…to name a few), then consider blouses with net sleeves and have the same work done on the blouse too. Your party wear and bridal wear sarees need a punchy blouse like this to stand out. If you want to add little more drama for a net saree look, try off-the shoulder blouses. Keep the front saree pleats properly pinned so that you can let your statement blouse do the talking. If your net saree is plain and simple, then without a doubt, go for the blouses that have eye-catching work preferably in contrasting colors. If you seek a down-to earth modest style with your net sarees then this should be your choice. To give formal vibes to your designer net saree, chose collar neck blouse. This you can wear on office parties, client meetings and to all other official duties while making style statement all the way. 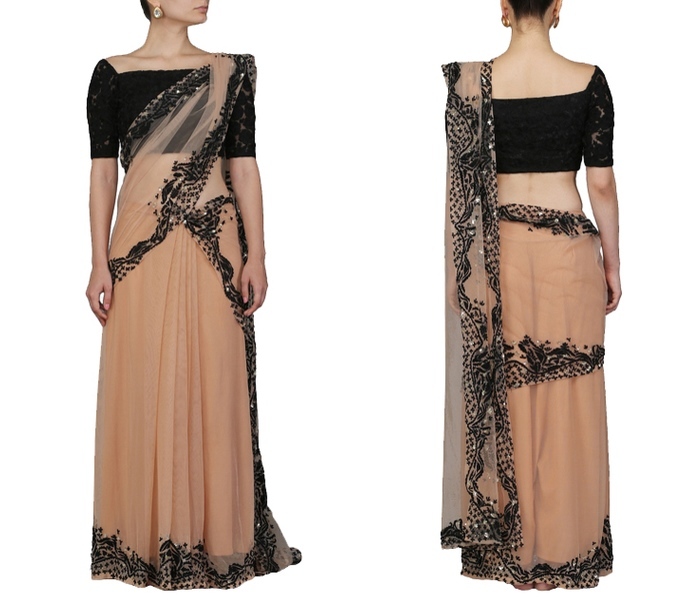 Another edgy way to wear your net saree is by pairing with short sleeve blouse – not new- with a deep back open neck (ah!). When you have flared bottoms like lehenga sarees, this choice of blouse will see to that the ‘saree look’ gets more momentum on the bodice too. 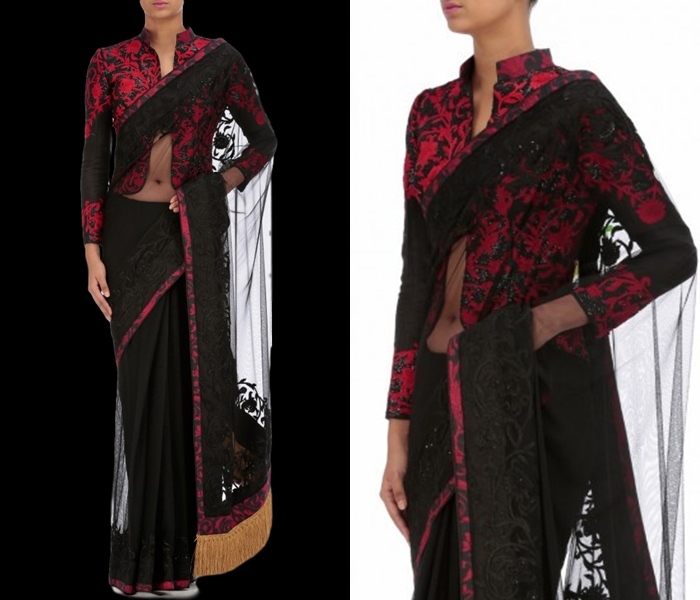 One more easy, and also stylish, blouse option for net saree is to have two completely different colors on the blouse. Keep the dark shade for the body and the light one for sleeves. Even if you are daunted by other options, this will keep you excited. These are our picks of 10 must try blouse designs with net sarees. We hope you have the ideas floating around you on how you can customize these wearable options much to your own taste. We wish you to finalize the design soon and get your coveted blouse soon! Ultimate Blouse Back Neck Designs Catalogue – 30 Ideas! 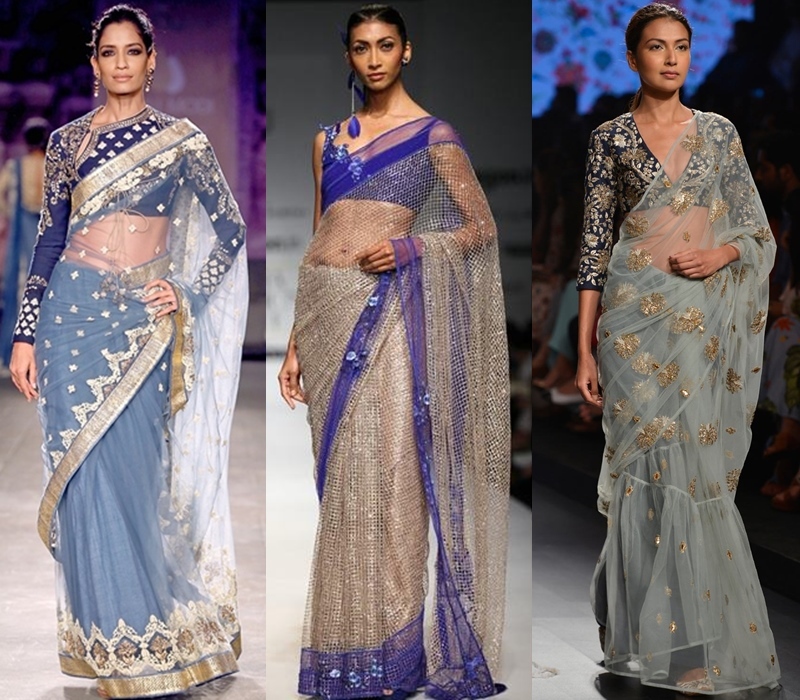 11 Simple Designer Saree Ideas for Dressed Down Look! 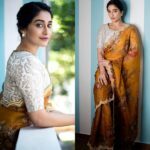 Next articleHow to Wash Silk Sarees at Home?